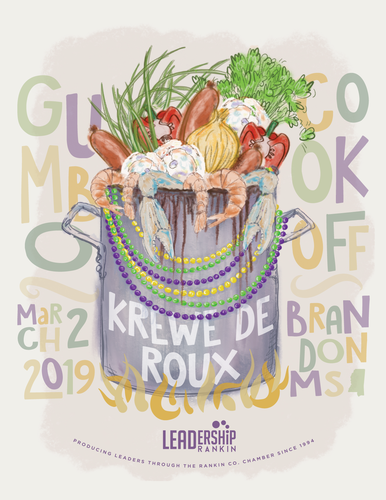 Leadership Rankin (along with Rankin Youth Leadership) presents the first ever KREWE DE ROUX. 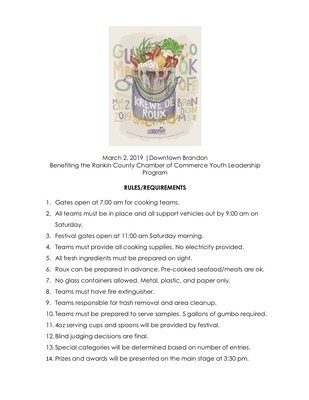 The Gumbo Festival will be held Saturday, March 2 at the Brandon Amphitheater! Enjoy teams cooking fresh gumbo and live entertainment by Jason Miller Band and Southern Komfort Brass Band. 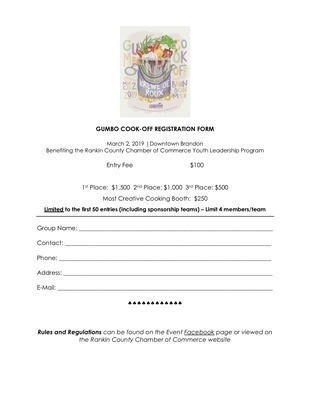 This is an awesome event benefitting the Rankin Chamber Youth Leadership Class. 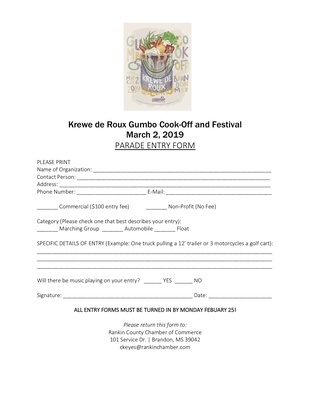 Sign up today for your team to cook the the gumbo cook-off!